Issoan means “One Grass Hut” and was named by Genki Takabayashi Roshi. Its name exemplifies the impermanence of the wabi tea aesthetic as well as the moveable nature of structure of the tea room itself. Issoan Tea School is a place of study for chanoyu. 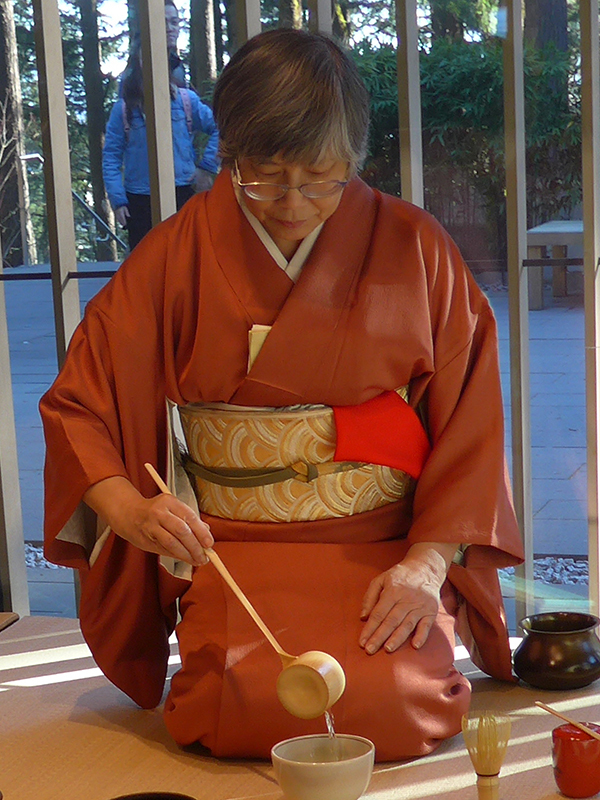 Marjorie “Soya” Yap teaches classes from beginning through advanced in the procedures for making tea as well as aspects of Japanese culture such as sweet making, kimono dressing, incense ceremony, haiku, and more. More important, she teaches how to incorporate chanoyu values and aesthetics into our modern, everyday life. Marjorie Yap has been a student of Tea since 1982. She spent an intensive year studying chado in Kyoto, Japan, at the Urasenke Chanoyu Institute. Marjorie received her Chamei (tea name) “Soya” and teaching credentials from Japan in 2000. She has assisted teaching the art history class, Chado and Japanese Aesthetics at University of Washington. She also has guest lectured at Portland Community College on Tea Ceramics and at Sarah Lawrence College on The Tea Ceremony and Theater Arts.